Chickpeas! Man these things are good! I first served them at brunch a few weeks ago and haven’t been able to stop thinking about them. To me, they make the perfect snack food and seem so much better than popcorn. I totally whipped up a batch of these to nosh on whilst catching up on Drop Dead Diva. They’re great for snacking on whilst watching TV or a movie or to put out during a dinner party or otherwise entertaining. Best part…the leftovers make an excellent salad topper for lunch the next day! Pre-heat oven to 400 degrees F. Cover a baking sheet with aluminum foil or parchment paper. In a medium bowl, combine and whisk together olive oil and spices. Add chickpeas and stir to combine till all chickpeas well-coated. Spread chickpeas evenly in baking sheet. 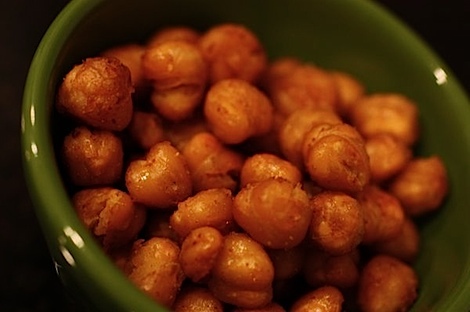 Bake for 25-30 minutes, turning chickpeas once halfway through cooking. Let cool 5-10 minutes till safe to eat and serve. dang these are so easy to make! kettle corn popcorn is my fave.. i may try a chickpea version 🙂 great recipe! this looks really great! i’m always on the lookout for healthy snack food. I have only had chickpeas once that were cooked in a stew and I was not a big fan. Maybe I need to try them a different way. Yum! Perfect alternative for me to popcorn which always gives me a terrible stomach ache. Must try this asap! Yum, simple and delicious. I love things that 1. I have the ingredients for and 2.that are quick and easy. Oh my gosh I love this idea! 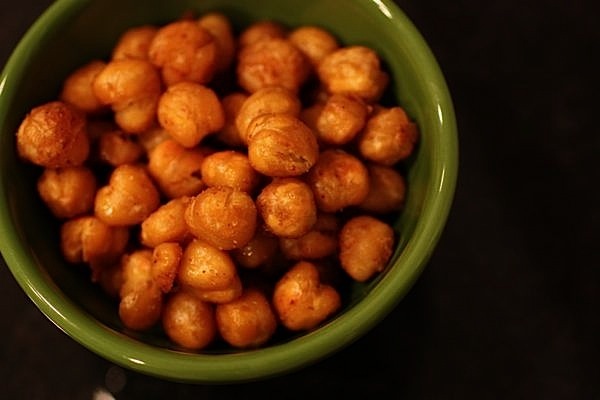 Such a great snack, and it wont leave the kernels stuck between my teeth. 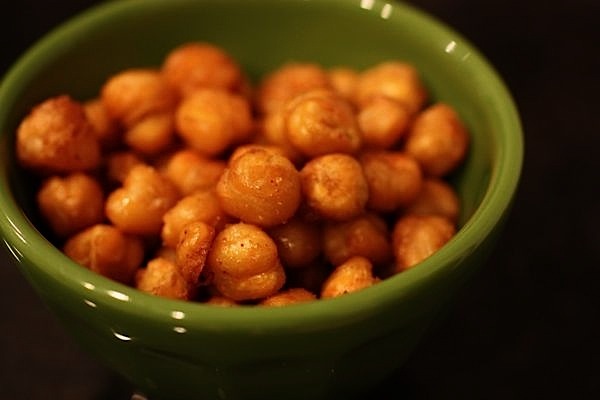 I abhor chickpeas….seriously, I don’t eat hummus even though everyone tells me it’s delicious, but you really make these look delicious….I may….just…have to…….try them..and of course if I do, I’ll let you know! Hi! 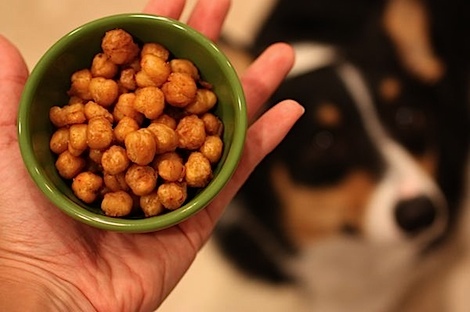 I noticed you like roasted chickpeas. They’re so yummy and fun to make! I just tried out SWEET roasted and candied chickpeas. Here’s the link to the post on my blog. Yum! Just made these and put some in my baby kale salad along with grape tomatoes, olives, a bit of leftover brown rice, roasted pumpkin seeds, and a couple small dollops of salsa. Oh and some pretzels on the side =)! This is the first recipe I’ve tried from this site. Can’t wait to try some more!